'Soleil' (Marky Smith, R. 2010) Seedling #00-22. IB, 26" (66 cm), Early midseason bloom. 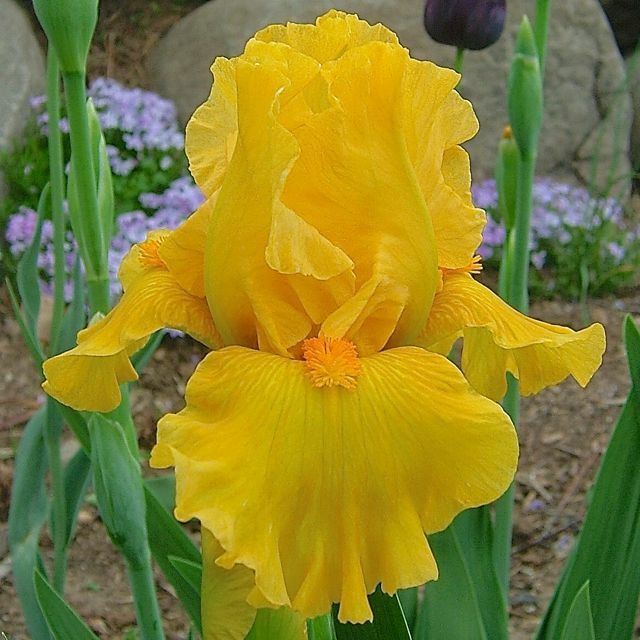 Standards and falls bright aureolin yellow (RHS 12); beards orange (24), yellow orange (17) at end. 'Phaeton' X 'Marksman'. Salmon Creek 2011.